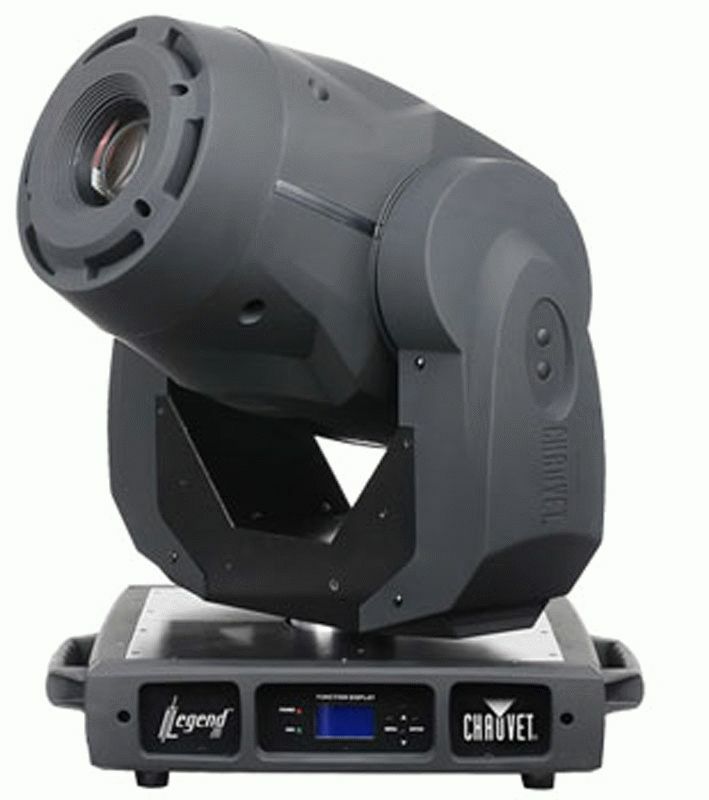 Chauvet announces that a multi-cultural sanctuary in San Jose has upgraded its lighting system by installing 14 Legend 300E Spot moving heads. The 1,300-seat sanctuary, where over 29 cultures gather to worship, needed fixtures to illuminate the altar as well as provide effect lighting to the background. Members of East Valley Pentecostal Church, which has a high quality sound system and is video and media capable, worked with John Lanto of Volume Productions to select and install a state-of-the-art lighting system. Lanto specified the permanent installation of 14 Legend 300E Spot fixtures to the sanctuary’s ceiling-mounted truss. With two gobo wheels (one static and one rotating), full cyan, magenta and yellow color mixing and an additional seven slot color wheel, Legend 300E Spot is perfectly suited for large house of worship installations. Powered by the Philips 300-watt MiniFastFit lamp, this compact fixture has one of the smallest bases for its wattage and is fully electronic to reduce weight making it ideal for permanent installations. They are packed with just about every feature a designer could want - from a fast, tight zoom and iris to a selection of prisms for beautiful projection and mid-air effects. The altar, which can accommodate nearly 60 choir and clergy members, glows in just about any color, while seven rotating and eight static gobos add a lively background. The appearance of the sanctuary can easily be changed to accommodate any event, from an elaborate wedding to a weekly mass.